On Tuesday we had our first day “outside of the camp”. We split up in two teams, one went to the Hohenwerfen Castle, while the other ones got to visit Eisriesenwelt. After the activities were over, everyone got in the bus and switched with the other team. At Hohenwerfen castle we followed a guided tour, after which we were able to witnessed the birdshow. Of course, a few members were in charge of the COTA station. They were using OE2YOTA/P to activate the castle using both WCA (OE-00215) and COTA (OE-20215) references. During the COTA activation, the other team was bringing a visit to the biggest ice-caves of Austria. With 1400 stairs inside the caves, we walked 2km in tempratures of just below 0°C. Of course, to get to the caves, we had to use the cable car and walk for about 45 minutes to get there. 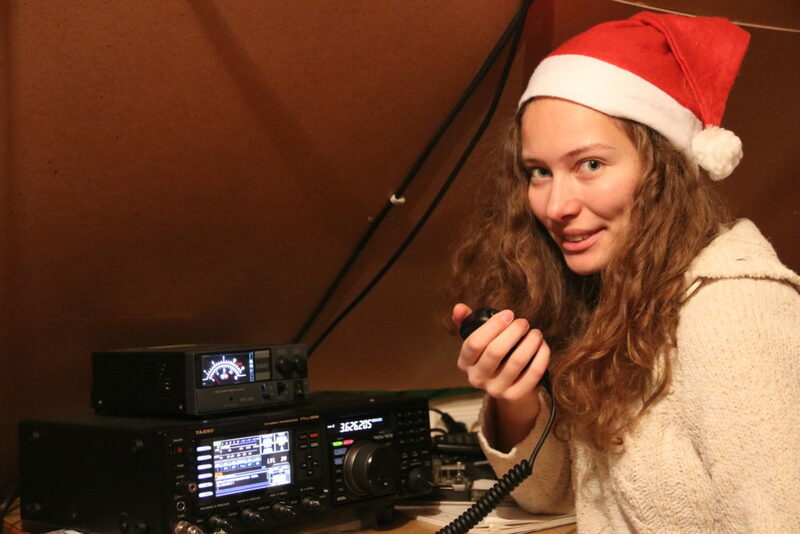 On the 2nd day of YOTA Austria, we made some antenna’s, had fun with WSPR beacons and of course the international evening (which will get its own newsflash later this week). 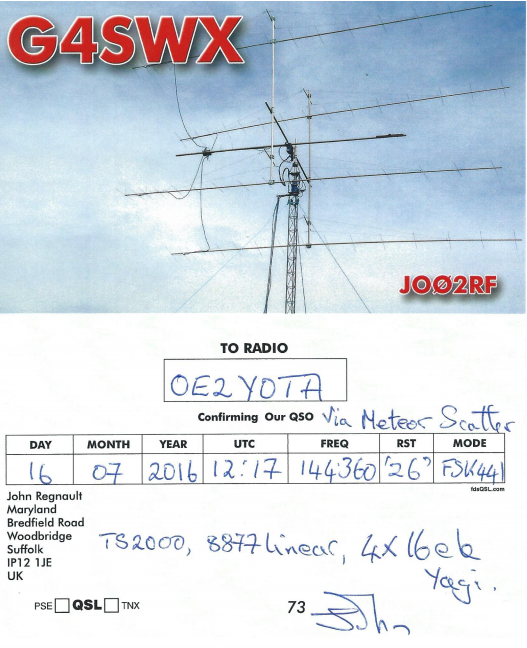 The first Meteor Scatter QSO from the OE2YOTA station has been made and confirmed! 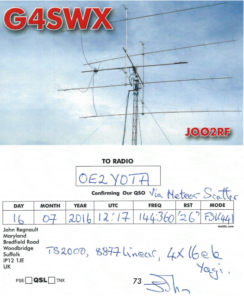 G4SWX from England was kind enough to mail us his eQSL yesterday evening.